On Oct. 2, several students from the Geneva High School Music Dept. competed to represent their school at the Illinois Music Educators Association District Festival. This audition process involved hundreds of students from area high schools in ILMEA Dist. 9. Of the GHS students who auditioned, 23 entries were ultimately selected to participate in the district festivals. The following students will have the opportunity to attend a one-day festival in November, working with amazing guest conductors from across the country, and will also present an afternoon concert to the public. 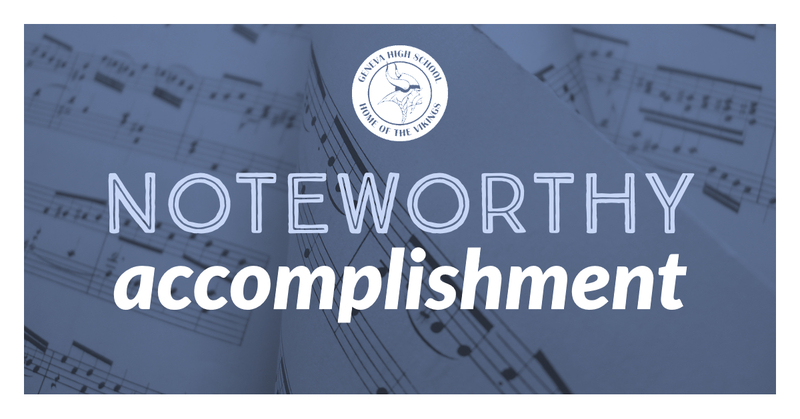 Congratulations to all of our GHS musicians on this “noteworthy” accomplishment!